A fellow Christian school administrator shares her observations from over 40 years involvement in Christian education. We invite you to tour our school and see our community in action! If you are reading this letter, I assume it is because you are searching for a school for your child. As with most parents, you are likely looking for a place that will give your child a quality education; a place where your child will thrive and grow. It is also very likely that you have visited, or plan to visit several other schools before you make a final decision. As you do your research, you are probably judging a school’s quality of education by the amount of technology, electives, and “extras” (such as college prep) a school has to offer. I am a teacher, so as I searched for the best place for my son, I thought I was better equipped than most to make this decision. I confess, these were the things that I thought made a good education. I now realize how superficial they are. The next obvious question you are probably asking is, “If I am searching for the wrong things, what should I be looking for in education?” I’m glad you asked. You will find two things at Redeemer that you will not find in any other K-12 school in the Phoenix area: Christian and Classical. If you look around you will find many other Christian schools and several other classical schools, but none that are uniquely both. Some people think that as long as the school is Christian OR Classical, then their child is getting the best education. This is simply not true. To understand this, I must first explain modern education. The one of the goals of modern education is to teach for job preparation, to teach tolerance, and to help students find basic self-fulfillment in life. Students learn how to be good in school and they are kept busy doing many things. I will also point out that all the well-intentioned, non-classical Christian schools fall under this modern education model as well. In any case, you probably think that these are all worthy goals. After all, shouldn’t we be teaching our kids to get along and keep a job? Besides, this is the education you received and you turned out ok. It may be hard to believe, but this is actually part of the problem! You may have given little thought to the education model at your local public and charter school and even less thought to that of a Christian school. This is probably because you assume “Christian” is best in any situation. You may evaluate the average Christian school by test scores or class size, giving little thought to how students are actually being taught. However, what you don’t realize is that students receive the BEST education from an education model that is both Classical and Christian. This may be in part because you likely did not learn this way. Let me put it this way: It’s like seeing the entire world as green, not realizing that it is this way because you are wearing green glasses. If students are simply learning things such as subjects in isolation, tolerance, and self-fulfillment they are not learning HOW to learn and how to LOVE learning! This is exactly what classical education equips its students to do: Live a life of learning and service to the glory of God. A Classical Christian education intentionally molds students to virtue; to love God and neighbors, as well as love truth, beauty, and goodness. Subjects are not taught in isolation, instead subjects are interrelated and taught more holistically. Skills taught at a K-12 classical Christian school turn into habits. Academic and scriptural concepts examined in multifaceted ways produce lifelong understanding. A Classical Christian education is like offering students a feast, while modern education only offers crumbs. Classical teachers irrigate deserts, they do not cut down jungles. Students learn to love learning and to connect all truth, beauty, and goodness with Christ, and they are dignified with meaningful work. 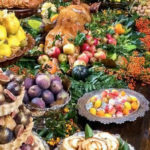 I don’t know any parents who would offer their child a crumb when a feast is available. Why should education be any different? Make no mistake, there is no neutral ground concerning this subject. True Classical Christian education intentionally and consciously makes every effort to go the opposite direction of modern education. Classical Christian schools do not ‘teach to the test’, they teach to wisdom, understanding and Christian character. We must! It is not possible to have middle ground. Classical Christian does not mean just doing it better than the school down the street. The education we offer must fit the classical model for the purpose of intentionally molding students to love learning and love God. Redeemer Christian School was recognized as being one of the top diverse schools in Arizona. It is a beautiful thing to see all of God’s children learning together, working together, and praying together. Our international student program is robust, with a dedicated English Language Learning teacher, who helps the students fine tune their speaking and pronunciation, reading comprehension, grammar, and writing skills. This year, we served students from Korea, Colombia, China and Republic of Vietnam. Mesa is a very diverse city, and our school reflects the colorful culture of the area. 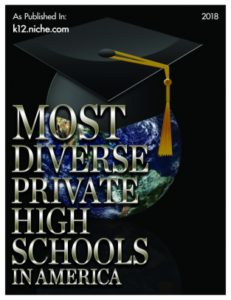 Recently the school was recognized as being one of the most diverse schools in Arizona, by k12.niche.com. 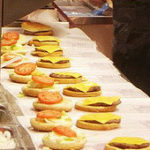 In the article, “Of Pigs and Pupils: Fast Food, Modern Education, and the Growth of Classical (Christian) Schools”, author Casey Shutt compares the richness of classical Christian education to that of our modern education system in a way that compares a wholesome, savory and healthy feast to industrialized, assembly-line fast food. If you’ve wondered what classical Christian education is about, this article presents a good definition by way of correlation. The article provides the ‘run-down’ as to how we have (sadly) allowed our modern education system to become a processed, pre-fabricated product that lacks the strength to nourish student’s mental faculties. MESA June 8, 2017 — Redeemer Christian School has been selected for the 2017 Best of Mesa Award in the Private School category by the Mesa Award Program. Various sources of information were gathered and analyzed to choose the winners in each category. The 2017 Mesa Award Program focuses on quality, not quantity. Winners are determined based on the information gathered both internally by the Mesa Award Program and data provided by third parties.